The CMAS Scientific Diving Center WiTUS is located at the Faculty for Energy-, Process- and Bio-Engineering at the University of Stuttgart. 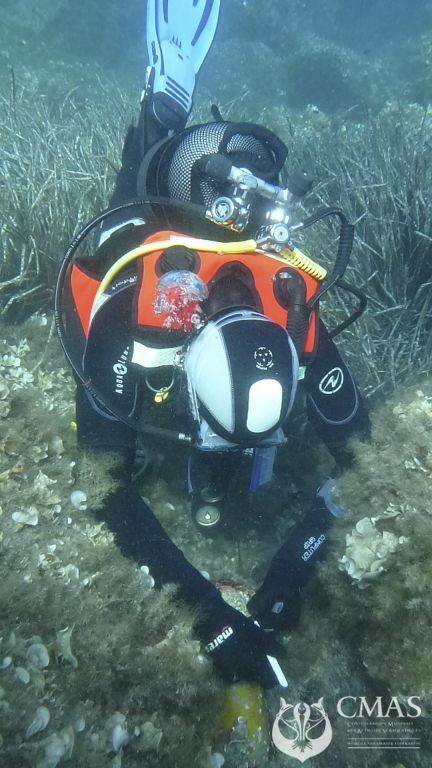 The CSC GER/S01 is fully equipped for diving in fresh water and marine ecosytems following the safety standards of the German Underwater Federation (Verband Deutscher Sporttaucher; VDST) as well as for ecological investigations of fresh water and marine habitats using e.g. 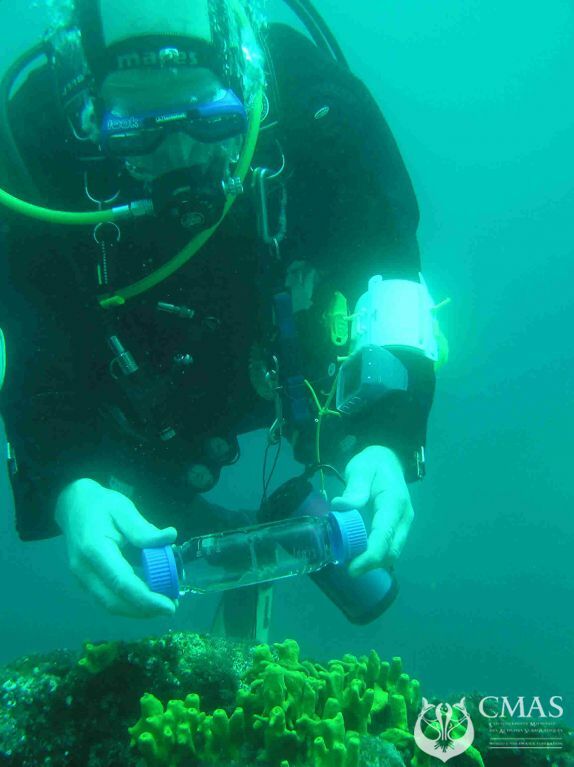 multi-parameter sensors, underwater drilling devices, airlifts, lift bags, plankton nets, data loggers and the unique water sampling devices (double bottles without bottoms after Brümmer, DOBB). The main purpose is to provide a high quality training of scientific diving for the master course students in Technical biology. This includes a two semester course, in theory and practical exercises, according to the CMAS scientific diving standards. 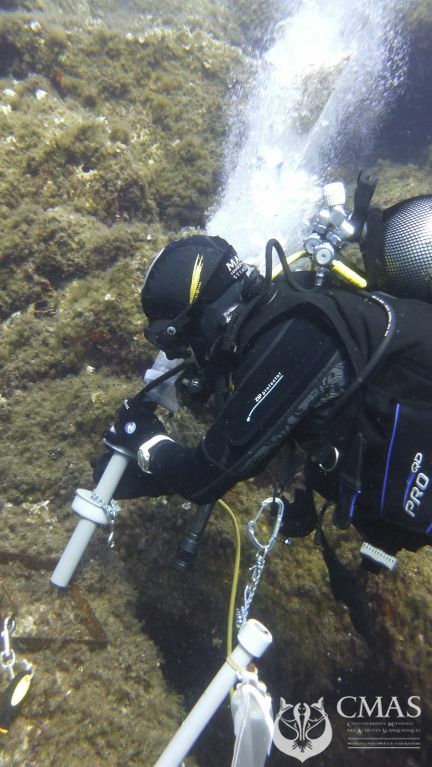 The final examination takes place at the marine scientific research station STARESO (Station de Recherches Océanographiques et Sous-Marines, Calvi, Corse, France). All diving operations are carried out by WiTUS (Wissenschaftliche Tauchgruppe der Universität Stuttgart; Scientific Diving group of the University Stuttgart), under the general rules of the Employer´s Liability Insurance Association (Unfallkasse Baden-Württemberg) including e.g. an extensive risk assessment and briefing. 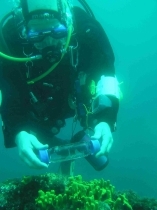 Our research activities are focused on investigations of special biocenosis (freshwater sponge – muscles), biomaterials (biomineralisation, bioactive meta-bolites (marine sponges and gastropods), annual dynamic processes in freshwater lakes, structure and interactions of different habitats in a meromictic lake and the development of special instrumentations needed. WiTUS is associated with the diving club TC Uni Stuttgart Manatees (www.tc-manatees.de) of the VDST (www.vdst.de).